Make a stunning upgrade to a traditional CCTV camera network and leave the cable infrastructure intact with the HD-Over-Coax SDI camera. 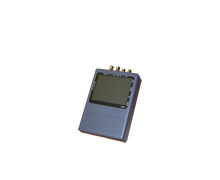 Serial Digital Interface (SDI) is a standard for digital video transmission. It allows signals from a digital video source and/or digital audio source to transmit over standard, cheap, and widely available (and often pre-installed) coaxial cables. This allows an easy and economical upgrade path for users who already have a traditional CCTV network in their home or business. The upgrade in video quality is astonishing when compared to standard analog (traditional) CCTV security cameras. Residential owners will appreciate ease of use, since there is no need to understand and assign IP addresses, security protocols and other factors that are inescapable when upgrading to IP cameras. All owners appreciate the fact they don’t have to have their property torn up or operations interrupted to install new cable runs. An advanced security camera contains a wealth of options and this product is no exception.